I didn't actually do anything out of the ordinary. I was playing as Drobit and next thing I knew, I was walking through treasure and unable to collect it. I tried changing to other Skylanders, Villains, Trap Masters, and the treasure was still not registering. It was on the ground, but could not be collected. Experience points were still able to be collected though. The bug "righted" itself when I opened a treasure chest, only for the game to crash at the end of the level (although I don't think this was part of the bug). Slap in the face when one can spend literally $750 or more per game on this stuff. On which console have you encountered this glitch? I'm playing on the PS4, and never seen it. Curious, since it seems to be the worst version of the game, in terms of bugs and glitches, and I have yet to find one. he have the XBox 360. Some people are naturally better testers than others. FWIW, other than occasional freezing on PS3 on Swap Force, I had a great experience. Keeping my fingers crossed. However, almost every person who performs extremely different actions, from what a normal player would do, can become one, apparently. I took enough damage from non-Trappable Smoke Scream to die and switched over to Golden Queen at the same time I guess. I'm guessing this is a frame-perfect (or extremely precise) glitch, but it was hilarious. I didn't mess around with it. I just quit the level because I was honestly kinda scared of what it woulda done. If I had to guess, I think it would have realised I should have died if I fell of the ledge or an event (like a cutscene) triggered, or if I took damage. Coulda crashed. Coulda done anything, depending on how the game updates deaths. Could have given me invincibility (boy, that'd be great for the final battle, but I think the game would just reset me to full HP when the fight started ). Anyway, it might be fun to mess with later if it isn't too precise to recreate, but I don't want to deal with it now. I'm confused... Does the Pepperjack moonwalking thing happen when you play as him, or during his battle? Also, has this happened to anybody on the wii u? When you're playing as him. If you do a sharp turn (at least from what I can kinda tell? ), his movement goes weird, and he's stuck facing one direction. You can get him to change direction if you move him a certain way or tag to your Skylander and back, but it's very annoying and gets in the way of playing. At least Smoke Scream is satisfying and non-buggy, so there's one great Fire villain that works properly- but Pepper Jack is one of few villains where I feel like all the moves compliment eachother and have a use without feeling tossed together, plus he's balanced pretty well, so it's sad that he's crippled by this bug. I've never encountered the CPJ glitch. Am I the only one? NOW I'M GOING TO POST THE ULTIMATE EVIL DOOOOOOOOOOOOM GLITCH GAME BREAKING!!!!! Just wait! I keep having issues with the Wolfgang fight. It's stopping me from doing the final tasks I can in the level- No Lives Lost, Time to Beat and Don't Switch. During the 2D segment, usually if I tag, I get a glitched out camera angle focusing on the sky or some ground or something that makes it impossible to see the fight. The game is unplayable in this state and there's seemingly no way to fix it unless I quit the level. I've encountered this bug four times, three today- the only time I was fighting Wolfgang and it didn't happen was the first time I was going through the game. can you put up a youtube video of these glitches?... also do you know other x360 owners that have the same problem?, if not try ask around on this forum and see if they can replicate the bug/glitches. do you install some part of the game on the hd on the x360? activision is starting to take down glitch videos of their games on youtube.. so watch out. I don't see why not to have people playing on other console test it as well... It just happened a ton when I was using Winterfest Lob-Star with Golden Queen and Smoke Scream, but I just beat Wolfgang again with Legendary Déjà Vu/Kaos and didn't have it (though I only tagged, like... Five times, was on Kaos most of the time). On a related note: I still hold that the Doom Raider battles are frustrating... I just did a run through with Kaos and I still missed the time goal by 15 seconds. Granted, it was a really bad run since I was lazy, but Kaos is easily the cheapest character in the game. How the hell are people without Kaos supposed to achieve it on a Nightmare save? P.S. I was playing Hard Mode. I dread trying to achieve the Time to Beat on Nightmare. other than that its good to get other x360 users to see if they can replicate your bugs/glitches. to see if its not only you that is affected by it... if the problem is only you it may be your hd install or disc and not the game. I wouldn't know if this is a bug or glitch, but I go the RSS E3 trap and it doesn't work. No villain in it whatsoever. Yet I got OBC and SBG traps, which both work perfectly. I'll probably send the trap back and, hopefully, get my money back. This is the first time I've had a problem w/ EBay. Just trap normal shield shredder in the trap, and he will be RSS. 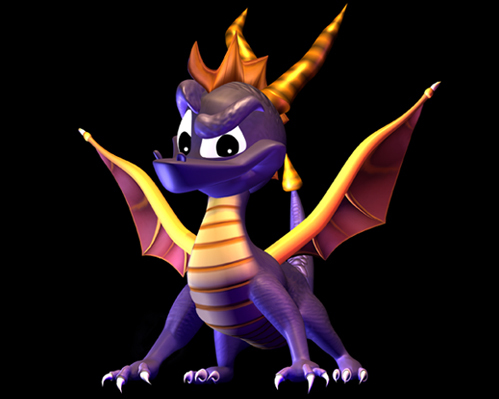 Thanks, mega spyro. It worked perfectly. I thought it was like OBC and SBG, but it was not. So, what exactly is the glitch? The horns re-appearing? Sorry, it doesn't seem EXTREMELY obvious to me. The fact that everything slows down after that and almost freezes. More like a bug, actually, rather than a glitch, to me. I'm interested in hearing about bugs in the Wii version, as I'm kind of surprised there are very few mentioned in this thread. Is the Wii version pretty solid? No, specifically the Wii version. I've been through the thread and there are one or two issues with that version, but definitely nowhere near as many as people are flagging on other systems. If anyone is seeing Wii (not Wii U) specific issues, I'd like to hear about them. You don't know what you've done! I searched Acti's site and found nothing about this. Maybe they will see this or I will have to submit this to them or someone on here has an answer? Bug: In 2-player mode, Snap Shot died while in the level, and when it showed the "Skylander needs to rest" screen, I took the figure off; however, it stayed on that screen, the only thing that happened was that Snap Shot disappeared. This meant I could not change my character. I think my sister was also switching traps around during this, that may have caused the portal to become confused. Solution: I took the other character that was on the portal off, and then it loaded the trap that was inside. I was then able to switch my character.